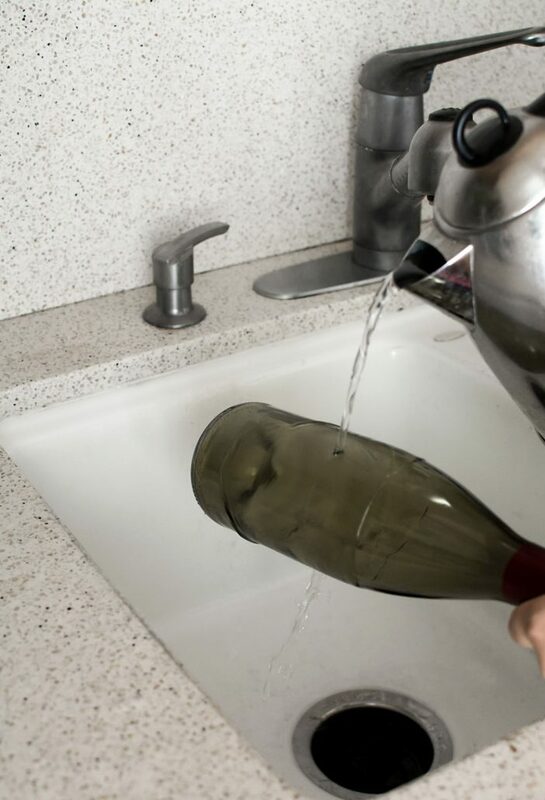 In our home, we very regularly polish off a bottle of wine, and each time we do the same guilt comes over me… All those glass bottles can surely be put to use! 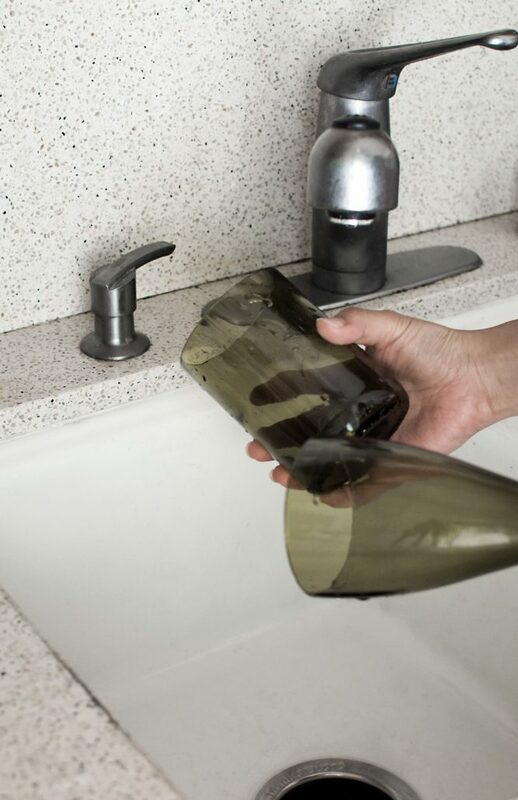 With this easy bottle cutting technique, I’ll be repurposing some of our wine bottles into these floating candle holders to add a simple, elegant glow to our Friendsgiving table this season. 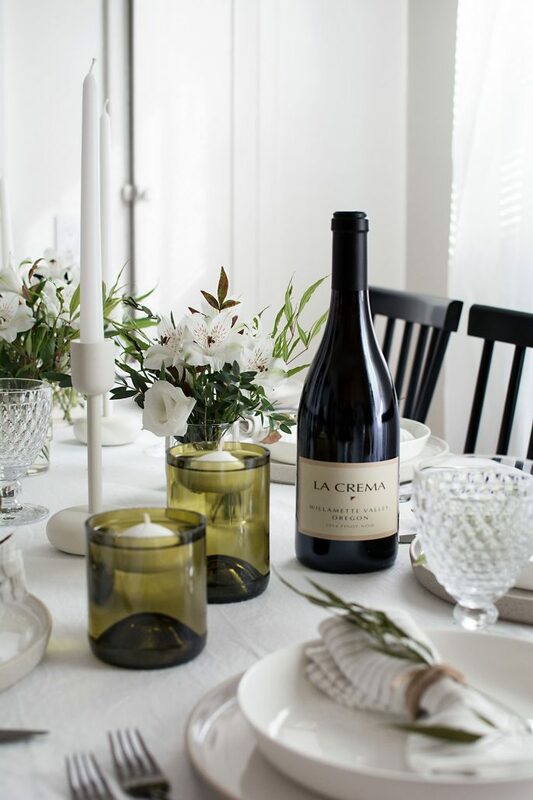 These particular bottles used to hold La Crema’s Willamette Pinot Noir, one of our favorite red wines, that is perfect for Thanksgiving and Friendsgiving feasts. It pairs incredibly well with turkey, ham and any and all sides you might have on your table. First, I highly recommend trying on a few practice bottles to get the hang of this method. Getting a clean break takes some practice! Use the pliers to loosen the bolt to adjust the cutting length of the bottle cutter. 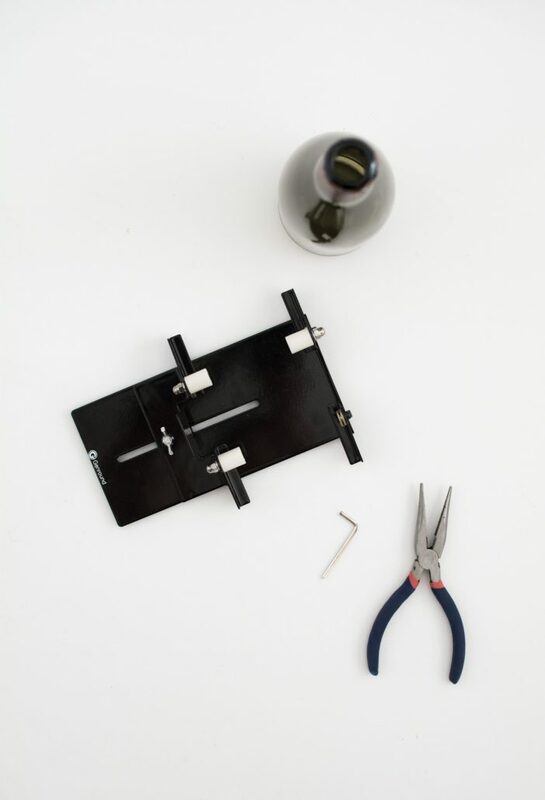 The bottle cutter comes with a hex key to adjust the width of the rollers and cutter- adjust them to the widest width. 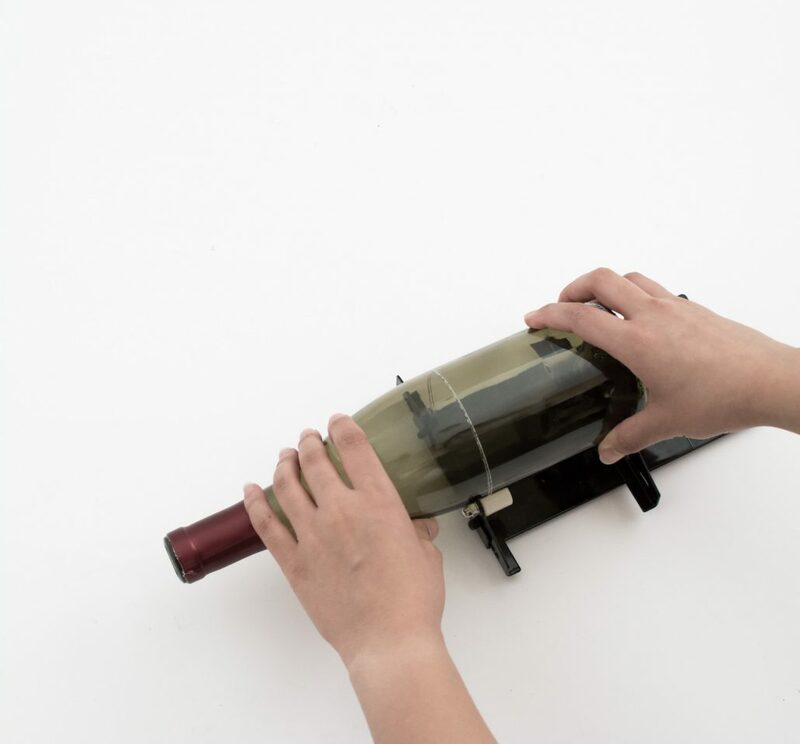 Place the wine bottle (labels removed) onto the cutter and firmly apply pressure while rotating the bottle. Rotate only once around to score the glass. Don’t double over the cut otherwise you’ll have a mess! Evenly pour boiling water over the scored line while rotating the bottle for about 10 seconds. 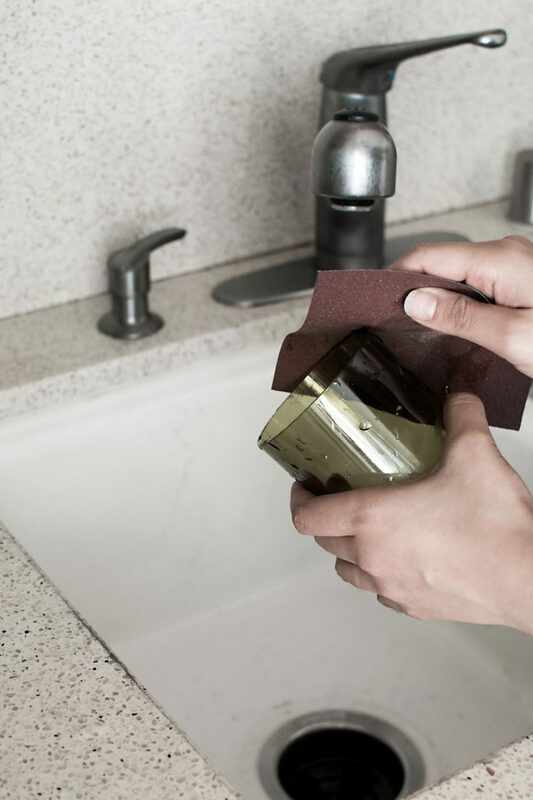 Do the same immediately after with cold running water. Keep cycling back and forth between the boiling and cold water until the glass separates. It took me between 2-5 cycles before the glass broke each time I tried this. It’ll vary, but it shouldn’t take too many cycles. 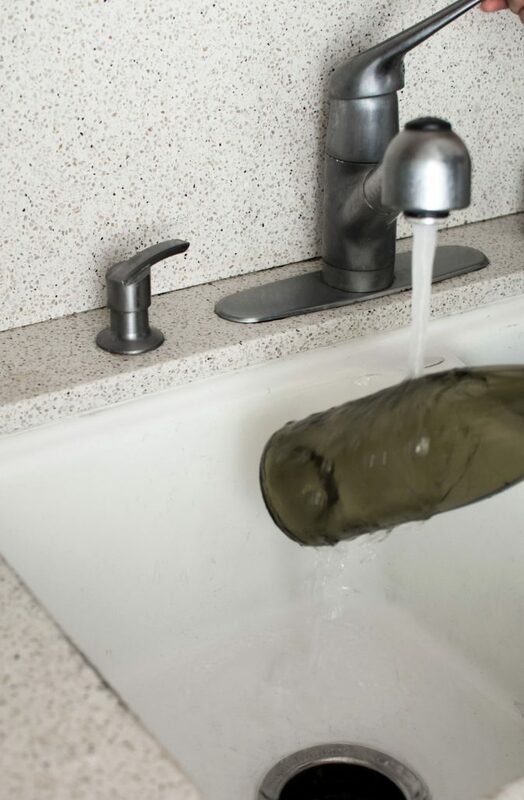 Note: keep the bottom of the bottle rested against the bottom of the sink as you rotate so that the glass doesn’t fall far when it breaks off. Sand down the edges well before drying off the glass. 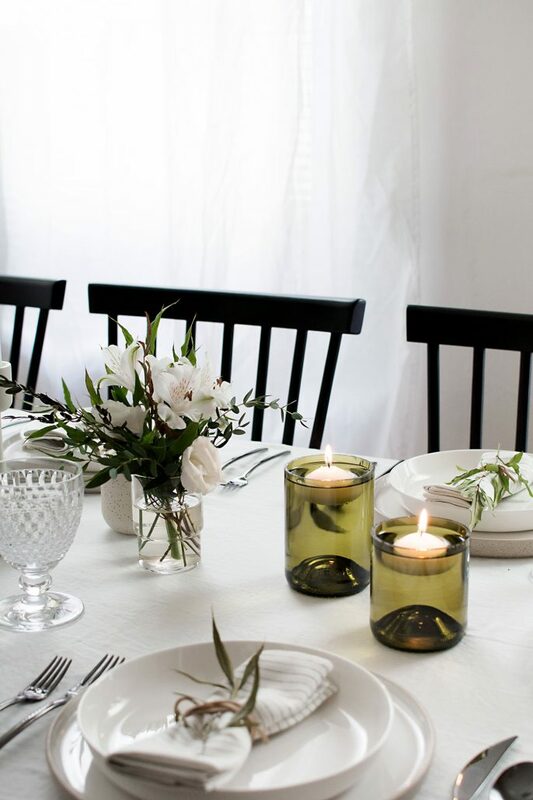 Fill the floating candle holders with water and add the candles. You can use these glasses as tumblers (just make sure you really sand the edges! ), or you can fill the glasses directly with candle wax to make your own candles. Glass cutting opens up a bunch of different options for recycling your wine bottles, so see if you can take advantage of this as you decorate for this season’s celebrations. It’s also a great excuse to drink more wine.